This 2-week program makes stops in up to 4 cities across to country to allow international students a chance to interact with elite athletes, coaches and managers in a learning experience designed to encourage idea growth and a global sharing of top athletic techniques.  Students are able to gain valuable activity/seminar based knowledge in sports coaching or management while visiting some of the top sports facilities and schools across the U.S. This intensive 4-week program is designed to introduce sports coaching or management professionals to a variety of U.S. sports programs. Students will attend guided discussions on ethics, leadership and administration as well as attend hands-on sessions at specially selected athletic venues where students will apply concepts from the classroom in real-world applications. While the structure of the 6-week Tour and Mentorship can change to suit each study group, the general experience will include one week of travelling in the U.S. and visiting sports venues to learn about U.S. sport at the professional, collegiate, interscholastic and recreational levels and five weeks of participation in an Academy Academic Program. The Academic program includes sessions on leadership, human performance, strength and conditioning, ethics, psychology and fitness. Custom tours may be created to suit the needs of a variety of international student groups. From single-city visits to trips across the U.S., students will be given opportunities to visit venues that highlight their careers as athletes, coaches and managers and include educational seminars and hands-on events to fit the needs of those involved with sports at any level.